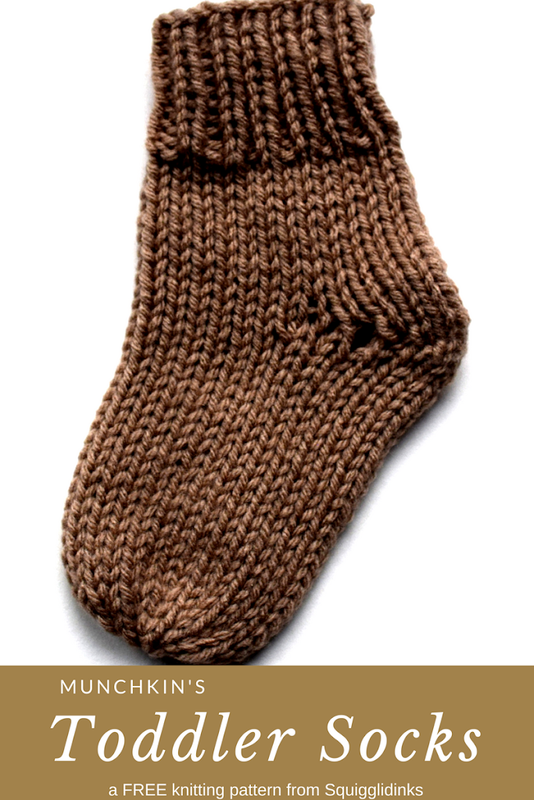 I decided to just update the baby socks pattern for a larger size, keeping the same simplicity. The heel is done in short rows, but there are no wrapped stitches, and the toe is decreased in simple k2togs with no Kitchener stitch. The non-wrapped heel stitches do leave little holes in the sides of the heels, which you can see from the photos, but since these are thick socks to go over regular socks, it doesn’t bother me. 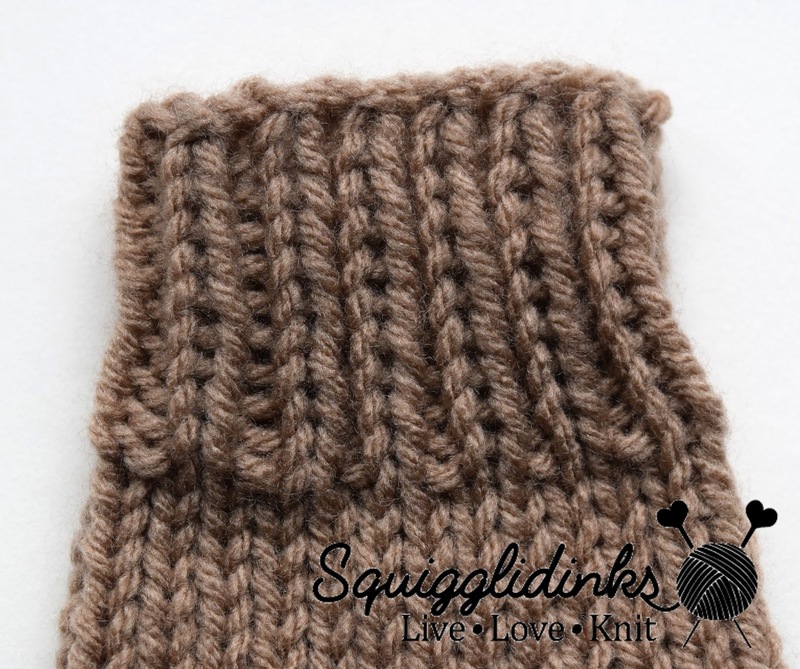 For the baby pair, I used a cotton-blend yarn, which was very soft but stretched out at the ankle. For this toddler pair, I used worsted-weight acrylic yarn—something I could throw in the laundry with his other clothes without worrying about, and that I knew would rebound better at the ankle than the cotton had. 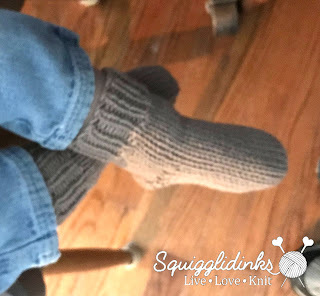 Munchkin is too squirmy to get a clear modeled photo, but the socks have been a success. He hasn’t been stepping out of his shoes, and in these colder temperatures, his little feet have been much warmer. This pattern is also available as an inexpensive ad-free PDF from Ravelry. Cast on 26 evenly over 3 double pointed needles. Join into a circle, being careful not to twist the stitches. Mark the beginning of your round. You should be back to 26 stitches now, since you picked up 2 stitches on either side in Row 12 and you decreased twice on either side in Row 13. Cut yarn about 6 inches from last stitch. Thread tail through remaining 7 stitches, pull snug. Sew ends under. What is your favorite pattern for little feet?